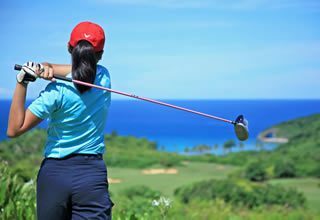 The centerpiece of Fairways & Bluewater Newcoast Boracay is its 18-hole championship golf course designed by Graham Marsh. A frequent venue of international tournaments, the 6524-yard facility comes fully equipped with a pro shop, locker room, club rentals, tee houses, and beverage carts. It also benefits from the service of well-experienced caddies and golf professionals.